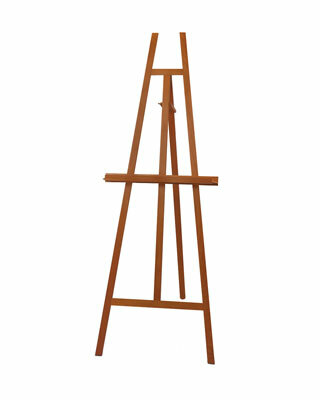 The Museum Easel holds your artwork secure while you’re working and beautifully displays it after you’ve finished. This handsome easel is finished with a smooth sanded hardwood veneer. Easily adjusts in angle and folds flat for storage purposes.